So you want to build the house of your dreams. 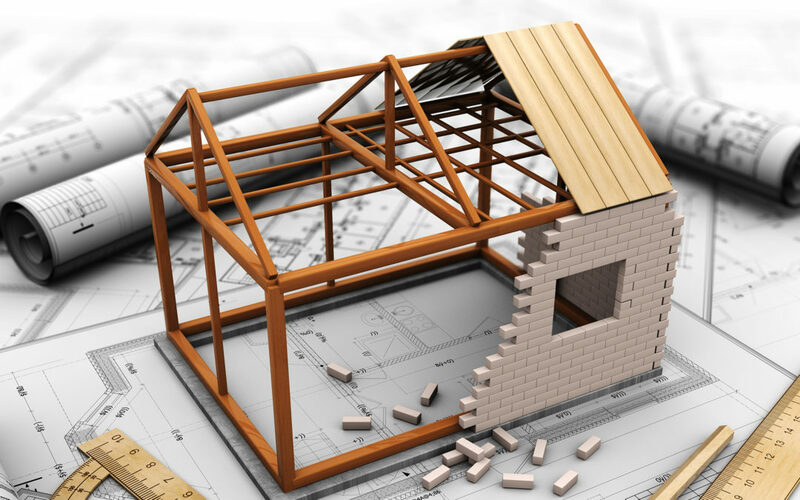 Building a brand-new home to your exact specifications may sound like a dream come true, but home development can get pretty complicated, especially if you need to take out a loan to pay for it. You have saved up quite a sum, but the problem is, it isn’t enough to finance the construction of your house. What should you do? Well, you could consider applying for a home construction loan. A home construction loan can help you raise enough funds for the completion of the house you have in mind, even if your money at hand isn’t enough to pay for the same. What are home construction loans? A construction loan is a short-term, interim loan to pay for the building of a house. As work progresses, the lender pays out the money in stages. Construction loans are typically short term with a maximum of one year and have variable rates that move up and down with the prime rate. The rates on this type of loan are higher than rates on permanent mortgage loans. To gain approval, the lender will need to see a construction timetable, detailed plans and a realistic budget, sometimes called the “story” behind the loan. Once approved, the borrower will be put on a bank-draft, or draw, schedule that follows the project’s construction stages and will typically be expected to make only interest payments during construction. As funds are requested, the lender will usually send someone to check on the job’s progress. Though a home construction loan is a tempting option to take, it is not one which you should pursue blindly. There are a number of considerations that you should pay attention to before availing of a home construction loan. Let’s take a look at them. Have you set a budget for the house you want to build? Your budget plan would dictate your projected expenses, and your projected expenses would dictate the amount of the home construction loan you wish to borrow. A home construction loan is quite an onerous obligation to keep. As much as possible, you will want to keep it at a minimum so you won’t have difficulty paying it off come time. Your credit history would play a huge role in securing a loan. Your credit history, of course, is perfectly summarized by your credit score. If you have a good and healthy credit score, then you will be judged as financially responsible enough to pay off the loan you’re seeking. Most lending institutions would demand to inspect the plans for the house you wish to build. This is their way of guaranteeing that you will be granted only the amount which you would need, and that the home construction loan would be utilized for the purpose for which it is intended: actual construction of a house. Some lending institutions would require some form of collateral as security for the home construction loan you are applying for. This may be another property of substantial value, or even the accumulated equity of a home you’re currently paying off. You have to remember that a loan of this type is something which you should eventually have to pay off. A home construction loan can actually limit your budget for a couple of years or more; so sound financial planning will be needed. Taking the following things into consideration, a home construction loan would definitely help you build that dream house for your family. If all the factors are aligned to your favor, a home construction loan would be a great option. Under this type of loan, you borrow money to pay for the construction costs of building your home. Once the house is complete and you move in, the loan is converted into a permanent mortgage. Because this format is basically a two-in-one loan, you only have one set of closing costs to pay, reducing the amount of fees you owe. During the construction of your house, you only pay interest on the outstanding balance; you don’t have to worry about paying down the principal yet. Typically, you’ll have a variable interest rate during the construction phase, so the rate and your payment can fluctuate. Once it becomes a permanent mortgage — with a loan term of 15 to 30 years — then you’ll make payments that cover both interest and the principal. At that time, you can opt for a fixed or variable-rate mortgage. With this approach, you take out two separate loans. One is solely for the construction of the home, which usually has a duration of a year or less. Then, when you move in, you take out a mortgage loan to pay off the construction. With a construction-only loan, you don’t need as large of a down payment. They can be a smart option for those who own a home and are building their next house. You may have limited cash now, but once your current home sells, you’ll have more money to pay the mortgage on the completed house. However, construction-only loans can cost you. Because you have to complete two separate transactions, you’ll pay two sets of fees. And, if your financial situation worsens, such as if you lose your job, you might not be able to qualify for a mortgage to actually move into your house. Qualifying for a home construction loan is typically more difficult than qualifying for a traditional mortgage. With a traditional mortgage, your home acts as collateral. If you default on your payments, the bank can seize your home. With a home construction loan, the bank doesn’t have that option, so they views these loans as bigger risks. The lender will also want detailed information about the lot, planned house size, materials used, and what contractors will be working on the home. Working with a reputable general contractor can make gathering this information and navigating through the process easier. Building a home often comes with unexpected surprises and extra costs, so you’ll also need to prove to the bank that you have enough savings to handle whatever comes up. Because home construction loans are more risky than traditional mortgages, not all banks or financial institutions offer them. It’s a good idea to look at several different lenders to review their requirements, rates, and loan terms. If you have trouble finding a lender willing to work with you, check out smaller regional banks or credit unions, which may be more likely to help. Get pre-approved for the home construction loan before working with a contractor. If you can’t get approved for a loan, you don’t want to be out hundreds or thousands that you put into blueprints and design. If you want to build a new home, you should know that you have a more difficult road ahead of you than if you pursued a traditional mortgage. Make sure you meet all of the lender’s criteria and that you have a significant cash cushion before moving forward. If you don’t qualify for a home construction loan right now, focus on boosting your credit score and building your savings so that you can build your dream home later on. Request a Builder Meeting & Free Estimate to begin the process. 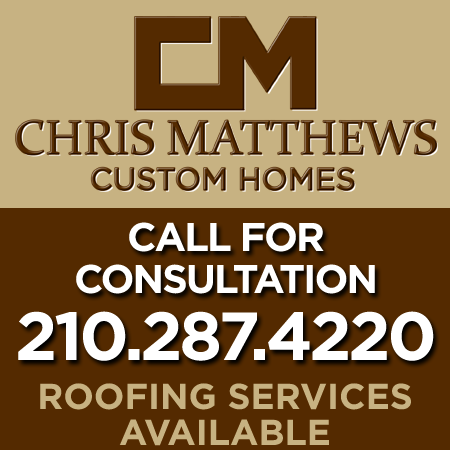 Call us (210) 287-4220 or submit request online.